artcore journal is pleased to announced Volume 3: Issue 1: La Dolce Vita, our first guest edited issue by New York-based artist and writer William Corwin. Over the course of the past year, Corwin has been working with a range of outstandingly talented artists, writers, curators, and more to produce a series of “interviews” that broaden the scope of a traditional interview platform. He loosely tethered this catalog of short videos to the scene transitions in Federico Fellini’s film La Dolce Vita from 1960. From this grounding point the interviews soar on to form the beginnings and continued conversations centered on various topics. Here is where I would typically insert short descriptions of the videos presented in this issue. Instead, we encourage you to jump right in to experience the unexpected range of voices, historical references, intimate moments, and visual and physically creative interpretations, and enjoy the results of a collaborative lineage between creative minds from across the country. 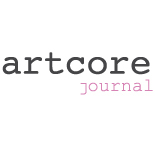 artcore journal thanks William Corwin, his team, and all of the participants who made this series of videos possible. thanks artcore!! looking forward to sitting down with these…..art is best. Garry N.
This entry was posted on October 26, 2015 by artcore journal in Volume 3, Issue 1: La Dolce Vita and tagged artcore journal.